Customers order for her son’s 16yrs birthday. He likes Italian cake with no fondant icing. It’s a challenge for me to make it extraordinary since Italian cake is always about simplicity with cream Icing and a lovely taste of coconut and nuts. Base cake is vanilla cake, top cake is lemon cake. Covered with white chocolate fondant. Preheat oven to 180 degree. Grease cake tin with butter and dusting with flour. Whisk together eggs, caster sugar and half of icing sugar until light and fluffy. Add melted butter, stir. Sift the flour and baking powder into the mixture, gently stir half of orange juice. Pour into the tin and bake for 20 to 25 minutes. Mix the remaining icing sugar with half of orange juice. Remove and cool the cake, sprinkle the sugary orange juice on top and the side until all juice absorbed. Leave it in fridge. Served cool. 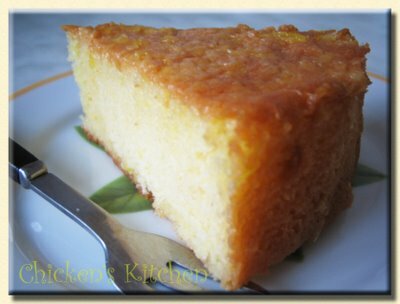 Old fashion cake rich in flavor with the great combo of some spicy and the aroma of palm sugar. Whisk sugar and egg yolk until fluffy and pale, add plam sugar gradually then butter which is already soften. Whisk white egg separately until pluffy and then gradually add sugar. Put dry ingredient in a bowl and strained, add into egg yolk batter, stir and fold into egg white. Pour into greased loaf with parchment paper on base. Bake in 175- 180C for 25 minutes or until golden brown and test with tooth pick (clean tooth pick means the cake done). Has been long time ago since my last bite of this favourite cake. Smooth velvety taste which I can't really taste that it's actually mash potatoes in this mixture with young coconut meat bites. The cake more well known in Java island and these days has lots of variations. My taste as usual is original made from eggs, wheat flour, mash potatoes and slices of young coconut baked in a special kue lumpur pan. Very simple but the taste incredibly rich. 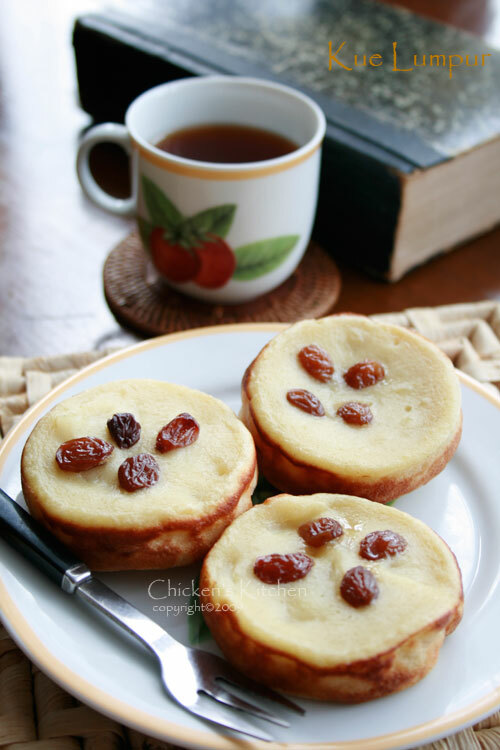 Once I tried to bake them in oven with muffin mould but turned dry, at that time I didn't have kue lumpur pan yet. I was thinking to cover the top with foil will do the trick so the top stay smooth but still not as it use to be.so if you want to try this I suggest to bake them in a poffertjes pan if you don't have one. Kue Lumpur pan made from aluminium composit which is lighter than cast iron eventhough still weight 2.5 kg specially bought it at Kopro traditional market in Jakarta- Indonesia when I was there for a holiday. It made me laugh everytime I remember how on earth I am going to carry this in my suitcase. Mix the mash potatoes with plain flour and coconut milk, set aside. In other bowl whisk eggs and sugar until fluffy, fold into mash potatoes and all ingredients. Preheat the pan, brush with oil and pour the mixture three quarter add raisins put the lid on. Leave to bake until golden brown. Serves warm or cold.